The catalogue is the first step to researching and locating items in the Library collection. Users can view the availability of items and make hold requests online using the "Find or Request this Item" feature. Consult the user guide to learn how to effectively search and browse the catalogue. Materials are checked out for a renewable two-week period, unless a hold has been placed. Borrowing privileges are exclusive to VHEC members and British Columbia teachers. Materials may be browsed on-site during regular VHEC hours. Borrowed materials are to be returned to the VHEC during operating hours, as there is no after-hours book drop. If materials are long overdue, a billing notice will be sent for the cost of the items. Reference services and research assistance are available by email (collections@vhec.org) or in-person by appointment. Collections staff can help users locate a particular title or make recommendations. 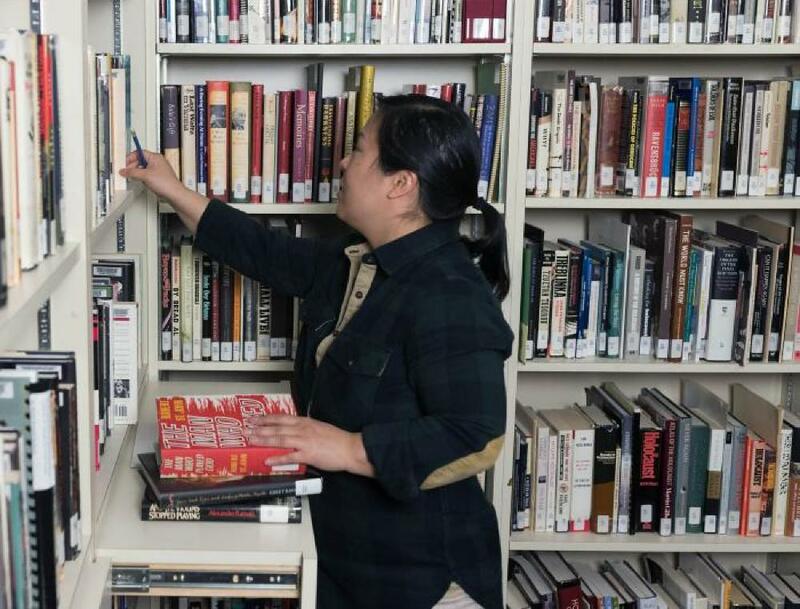 As the collection is in the process of being added to our online catalogue, visitors are encouraged to contact the librarian to inquire about library holdings and availability before traveling to the VHEC. Find more information about Planning a Research Visit and Connecting with Us.